people, and we are yours always. After over 2000 hours dedicated to squadding up, and skilling up, we slayed on creating and producing content for our Black families and Black trans kindred across the US South. 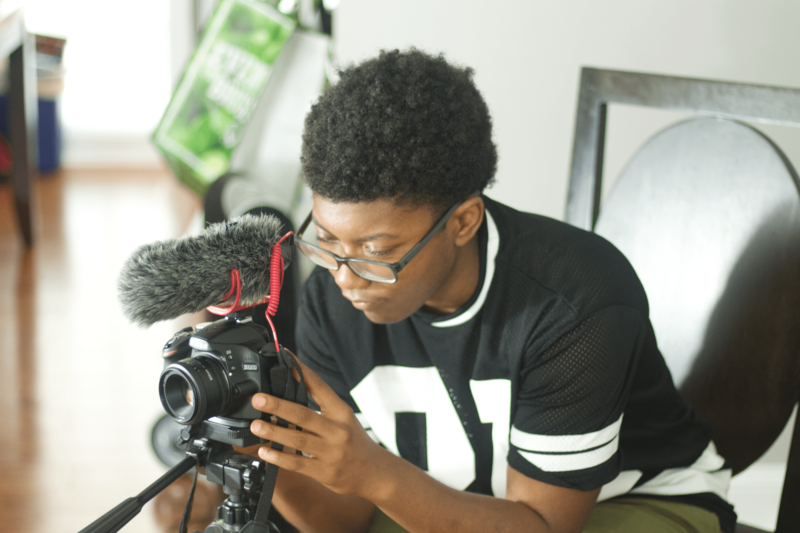 This film based project came out of a lack (of content created by Black trans folks and content that centers Black trans folks) and a need (for tools that can be used and easily distributed) to help guide conversations around gender while reflecting the real and many experiences Black trans folks have in their Black families. We have a commitment to documenting the existence of our people and to shape shifting to create permanent conditions for liberation. For the past year, we’ve been in the practice of embodying this commitment and this project has truly been an exercise in this embodiment. Any support/feedback is welcomed and counted as an important part of our growth as comrades in this struggle. This project idea was conceived at SONG’s Gaycation 2017 and it was an honor to bring this project full circle with our first full length screening at SONG’s Gaycation 2018. 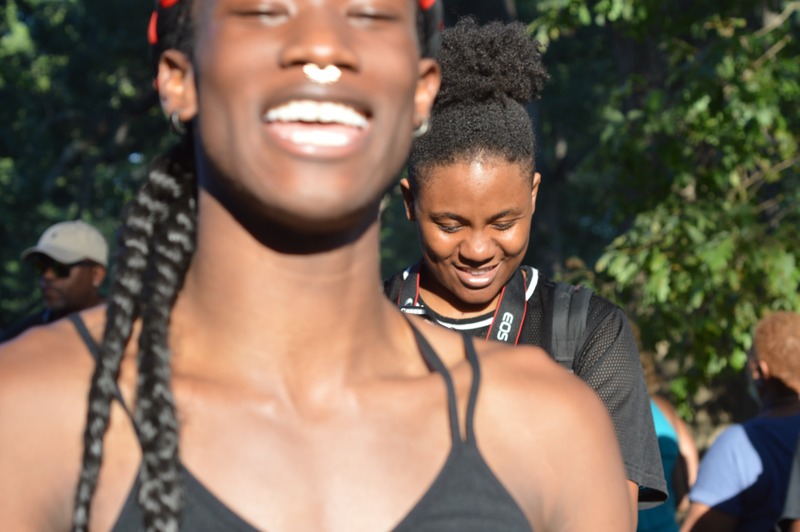 A reflection on where our people are currently at in their families (please find a curated street style interview video archive of 19 of our Black folks talking about how they experience gender or came to understand gender within the context of their Black families here: On Being…Black & Trans in the South. The documentary “Mama, Can We Talk?” is ready for you and yours to get with your crew, grab a bucket of popcorn, and watch! You can find the doc on Vimeo or by going to bit.ly/HOPrelease. The password for viewing is HOPextendedfam. The video is in English but a Spanish captioned version is coming soon! Here is the “Mama, Can We Talk” Conversation Tool to use with public screenings; “Mama, Can We Talk” will aso be added to SONG’s Film Series Toolkit. You can use the guidelines listed in the Film Series Toolkit to learn how to set up a film screening in your area! Mama, Can We Talk? Trailer from House of Pentacles Productions on Vimeo. Out of this project also came a Black Trans Film Training Program, House of Pentacles, founded by Joie Lou Shakur that will continue to train Black trans youth (18-35 years old) in the craft of film and thus provide professional and political development as well as economic intervention in the lives of Black trans folks in the South. This project was a labor of love from many folks and would not be coming full circle without the help of our Black trans Crew at SONG (Joie Lou Shakur, Micky Jordan, Micky Bradford, Taylor Money-Worthy, and Justice Phillip Valentine) and Black folks who were willing to engage with a community filmmaking model to create something new including Mathama Bility, Patricia Humes, Glo Merriweather, Courtney Sebring and so many other Black folks across the South who took the time to talk with us, watch videos, offer feedback and critiques, and root for/affirm the importance of this work. Special thank you to Sufia Ikbal Doucet for her mentorship in film and for everyone who took the time to watch and rewatch and offer feedback. We’re very excited to have been a part of this project with our larger SONG fam and we’re honored to have witnessed the transformation of our people (especially ourselves) through this work. We are also so so so proud of all of the Black trans folks who were brave enough to just show up, learn, and experiment with this craft. We hope that you can all enjoy the fruits of our collective labor! And we know that this resource already adds tremendously to marking the existence of Black trans folks during this current political moment. For more information about the House of Pentacles please visit houseofpentacles.com or follow and like @houseofpentacles on IG and Facebook. To reach out email houseofpentacles@gmail.com to inquire about getting this documentary for your organization or if you just want to offer general feedback.